students and adults working together to provide services for young people in our community. That history of building partnerships continues to be the foundation for the work we do today. 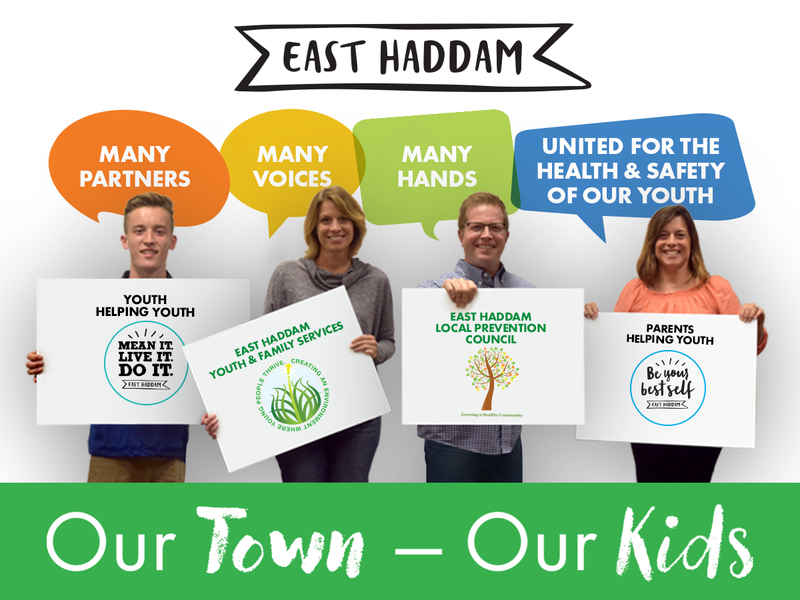 EHYFS works collaboratively with our town government, school system, local and state police, civic and faith organizations, parent groups, youth and adults and several regional and state agencies. to work together to allow our youth to be strong, safe and substance free. 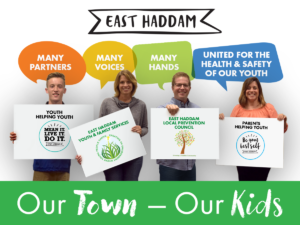 Youth Helping Youth is a group dedicated to encouraging all East Haddam youth to make healthy life choices by being positive role models and providing opportunities for youth to connect with each other and their community.